Read A Framework For Understanding Poverty By Ruby K. Payne, Ph.D.
About three weeks ago I was in a meeting with my assistant superintendents and the deputy superintendent of my school district and we were discussing the school of which I serve as principal. I was explaining to them the various challenges we face as the school is seated in what is probably the lowest economic area of the city. As we were chatting, one of the assistant superintendents asked me if I had ever read the book A Framework for Understanding Poverty by Dr. Ruby K. Payne?, in fact, because she knows that I am a voracious reader, she erroneously assumed that I had read it. I told her I had not. She then went on to tell me that she highly recommended that I read the book particularly in light of the school that I serve. I thanked her for the recommendation and when I left the meeting, I immediately downloaded the book on my iPad via the Kindle App. As I began reading the book, I clearly understood why it was recommended to me. Dr. Payne was indeed describing my children and all I had to do was change the names to protect the guilty. Her case studies were reflective of my students and there is no doubt in my mind that for many of them, what she described is their reality. Each case study became more and more heart wrenching for me as I pictured in my mind some of the faces I look into each day as I move about my school and as they are sent to the main office. The book moved me so much, that it will be one of the first books that I order for the entire teaching staff of my school for the 2015-2016 school year (the only reason I am not ordering it now, is because our budget is closed). Nevertheless, there are some exercises outlined in the book that I will be taking our staff through to help them get a better appreciation for the students they are serving. It is only through getting a better understanding of the reality of the students we serve, will we be able to develop the compassion and the relationships necessary to reach them academically. 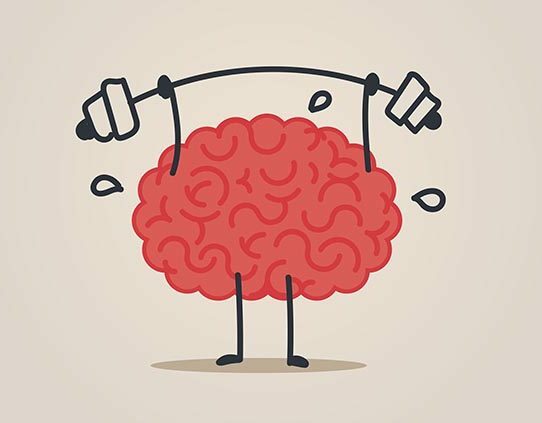 I am not looking for us to excuse the students' behavior because they are impoverished; however, I am looking for us to better understand what may be driving the behavior we experience from our students on a day-to-day basis. Perhaps with a better understanding and appreciation for the plight of our children, we will rethink how we speak to them; rethink what we say to them; and be more conscious of our body language and sarcasm. Students will not learn from people who they feel do not care about them. I am not finished reading A Framework for Understanding Poverty and some of the parts that I have read have choked me up and in some instances brought me to tears as I thought about my students who are homeless; who have been sexually abused; who are raising their little brothers and sisters; who are home by themselves at night, and on and on and on. You name the ill and I am willing to bet that I have a student or students who are or have experienced it. So like my assistant superintendent who recommended the book A Framework for Understanding Poverty to me, I likewise recommend the book to anyone who is reading this post. It is a great book for self-reflection regardless of what economic class you may be in. It is particularly important for educators but it is not just for educators. If we all acted upon or thought about what we learned from this book, we would treat people better. We would not snub our nose down on anyone because while we don't know their story, we would have a better appreciation for what they may have gone through or are going through. 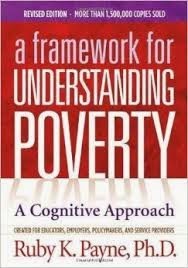 So as The Critical Thinker, The Principal and the host of The Reading Circle, I recommend that everyone reading these words get a copy of A Framework for Understanding Poverty by Ruby K. Payne, Ph.D. Something to critically think about. I invite you to listen to me live each Saturday at 6:00 a.m. ET as the host of The Reading Circle on gobrave.org and locally on WP88.7 FM. I also invite you to follow on Twitter @thinkcritical01 and @readingcircle01. The Critical Thinker is now a part of the Alltop umbrella. According to Alltop, it's purpose is to help you answer the question, “What’s happening?” in “all the topics” that interest you. You may wonder how Alltop is different from a search engine. A search engine is good to answer a question like, “How many people live in China?” However, it has a much harder time answering the question, “What’s happening in China?” That’s the kind of question that we answer. We do this by collecting the headlines of the latest stories from the best sites and blogs such as The Critical Thinker that cover a topic. We group these collections — “aggregations” — into individual web pages. Then we display the five most recent headlines of the information sources as well as their first paragraph. Our topics run from adoption to zoology with photography, food, science, religion, celebrities, fashion, gaming, sports, politics, automobiles, Macintosh, and hundreds of other subjects along the way. 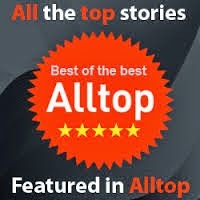 You can think of Alltop as the “online magazine rack” of the web. We’ve subscribed to thousands of sources to provide “aggregation without aggravation.” To be clear, Alltop pages are starting points—they are not destinations per se. Ultimately, our goal is to enhance your online reading by displaying stories from sources such as The Critical Thinker that you’re already visiting plus helping you discover sources that you didn’t know existed. The Critical Thinker is proud to be listed under the Alltop umbrella. Hear me live each Saturday at 6:00 a.m. ET on gobrave.org as the host of The Reading Circle and you are invited to follow on Twitter @thinkcritical01 and readingcircle01.